Take a whirl on our outdoor ice rink*, investigate fake snow in the Experiment Zone** and explore the winter night sky in the planetarium! Want a white Christmas? Hop aboard The Polar Express Journey to the North Pole on the 4D Motion Ride**. Children can also be immersed in a festive storytelling or get stuck into making seasonal creations to take home, including LED decorations and winter lanterns (weekends only outside of the school holidays). Heading back indoors, if you enjoy a family sci-fi movie at Christmas, then the new exhibition Alien Invasion is a must (opens 22 December). And if you’re not quite feeling the Christmas spirit, then indulge your inner Grinch with the live show How to be an Evil Genius***. 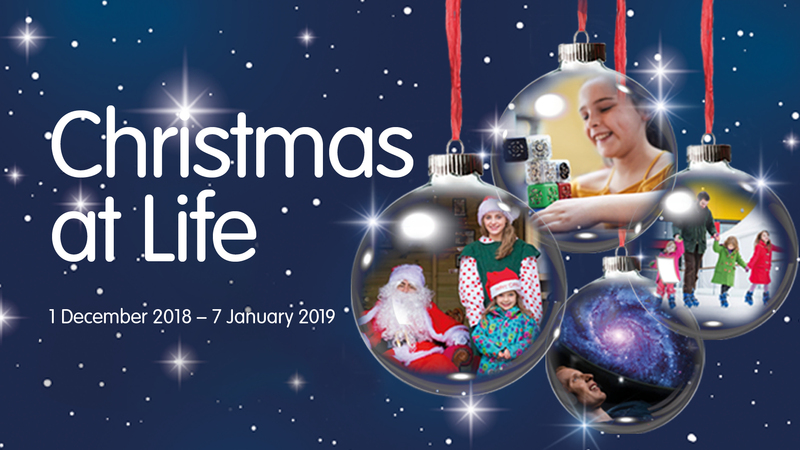 *Additional charges apply for meeting Santa and ice skating, with the rest of the festive fun being included in your science centre ticket. We offer great value combo tickets so you can experience all of our winter wonderland activities. **Age and height restrictions apply. Please see website for more details.